Throughout India’s history, several emperors and dynasties have been great patrons of art and culture, granting immense favors for the building of temples which manifested their immense devotion to the Supreme Being. Bedecked in opulence of every kind, these temples stir up a variety of emotions on the visitors, alternating from awe to reverence. Visiting such temples, therefore, promises to be a grand experience in itself. In this blog, we tell you the most revered and richest temples of India which are a perfectly combination of spirituality and magnificence. The Padmanabhaswamy Temple, located in Thiruvananthapuram, Kerala is all about riches and gold. Counted amongst the richest temples in the country, it boasts wealth amounting to almost $20 billion, or, equivalents to six vaults of gold. The idol of Mahavishnu alone is said to possess wealth amounting to Rs. 500 crore approximately. 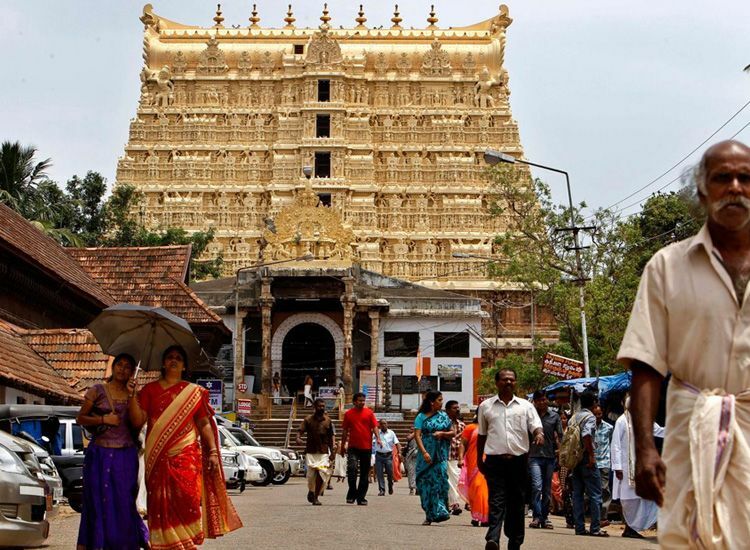 This temple holds the distinction of being not just India’s, but the world’s richest temple. In 2011, the Supreme Court took over the management of the temple, and ordered the secret chambers to be opened. The vaults inside the temple were said to be filled with gold, silver and diamonds, with the value of the treasure contained therein to be worth at least 1 trillion dollars. Tirumala Tirupati Venkateswara Temple, considered to be one of the most revered and richest temples of India, is visited by thousands of people every daily, all eager to seek blessings and witness the grand structure which greets them upon arrival. Every year, the temple treasury earns around $6 million by selling hair of devotees at a public auction. The temple has gold reserves and almost 52 tons of gold ornaments amounting to Rs. 37,000 crore. Then, there are also the laddus (round shaped sweets), 1, 50, 000 of which are produced every day. These generate revenues amounting to almost 11 million rupees annually. 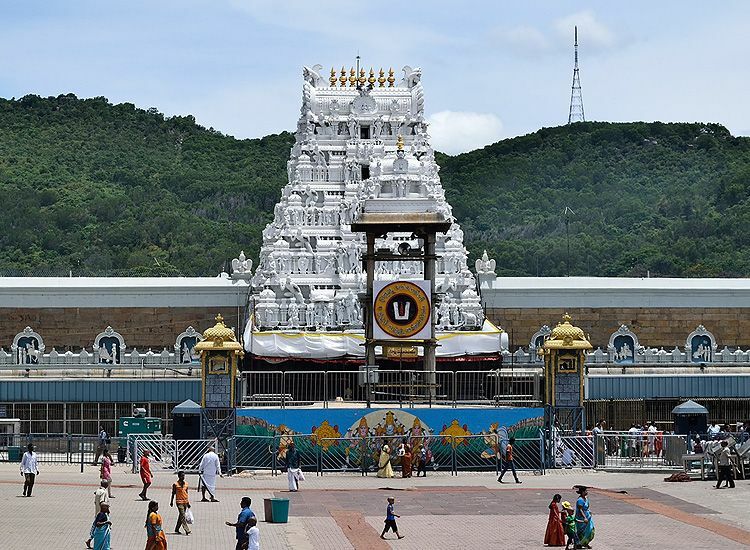 Lord Venkateswara, the presiding deity of the temple, is clad with 100kgs of gold, with the temple receiving a donation of almost 650 crore a year. Indians have long been enchanted by the miracles of Sai Baba, irrespective of the region they belong to. This immense faith is what has driven people to donate enormous sums of money to this temple, with the result that it now considered to be the third richest temple in the country. Visited by people belonging to all religions, Shirdi Sai Baba Shrine in Maharashtra boasts gold and silver jewelry worth Rs. 32 crore and silver coins whose worth exceeds Rs. 6 lakh. Besides, the temple also receives annual donations amounting to Rs. 360 crore approximately. 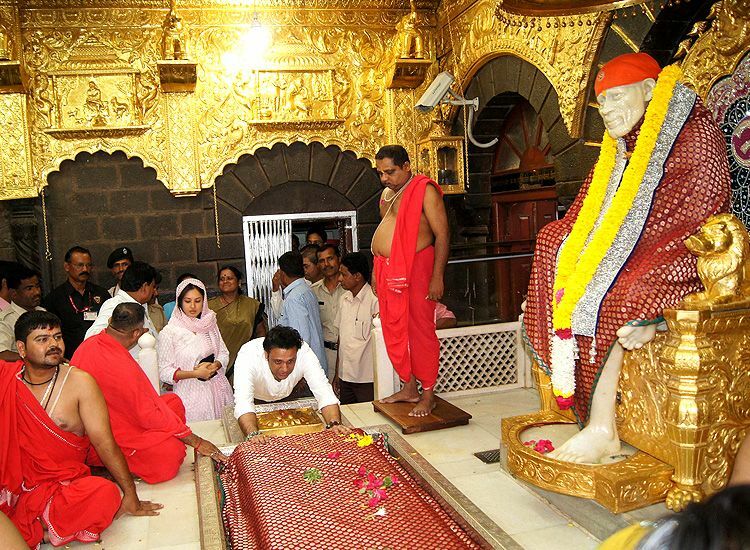 However, the greatest attraction of all is the idol of Sai Baba itself, which costs almost 100 million rupees. Vaishno Devi Temple, located near Katra in Jammu district, is one of India’s most sacred and richest temples, and is visited by millions of devotees from all over the world. 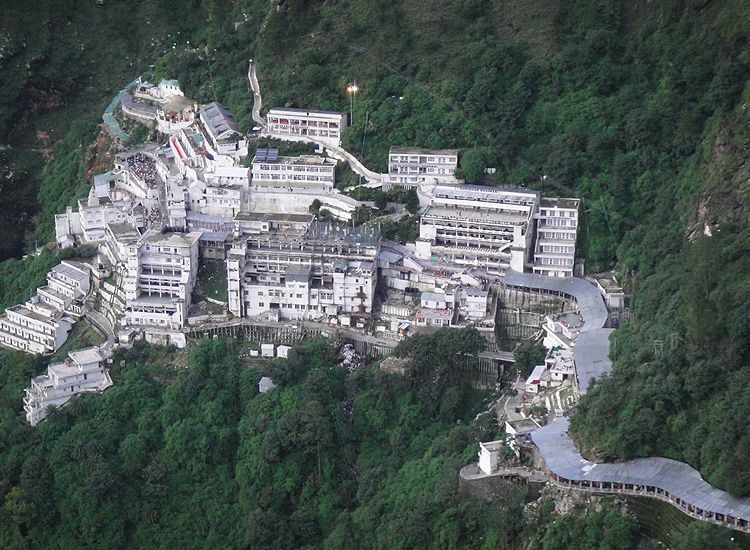 The shrine of Mata Vaishno Devi, the temple boasts an annual income of around Rs. 500 crore. This temple is visited by around 8 million pilgrims every year and claims to be the second most visited temple after Tirupati. 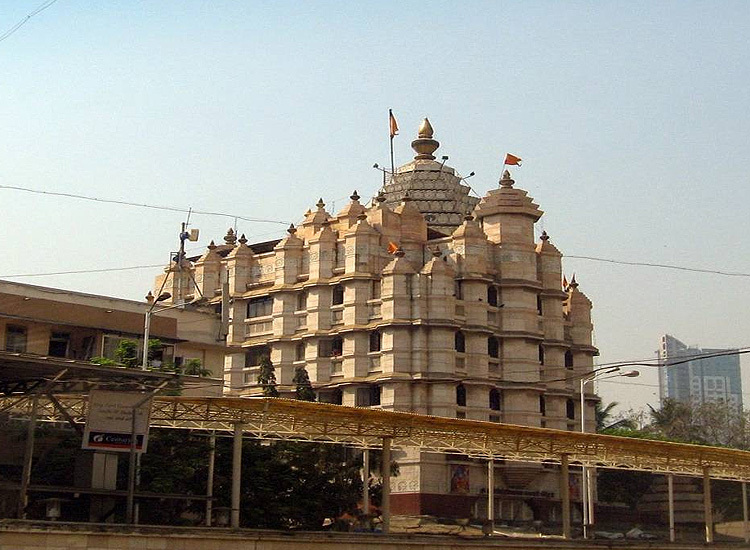 Siddhivinayak Temple, located in Mumbai, has almost gained a legendary status. Visited by almost 25 thousand to 2 lakh people every day, the annual income of the temple is estimated to be between Rs. 48 crore to Rs. 125 crore. The dome over the main shrine of Lord Ganesh is coated with almost 3.7kg of gold, while the black stone idol found in the temple is believed to be almost 200 years old. The gold coated dome over Lord Ganesh is said to have been donated by a businessman from Kolkata. The building was converted to a six story building in 1990. 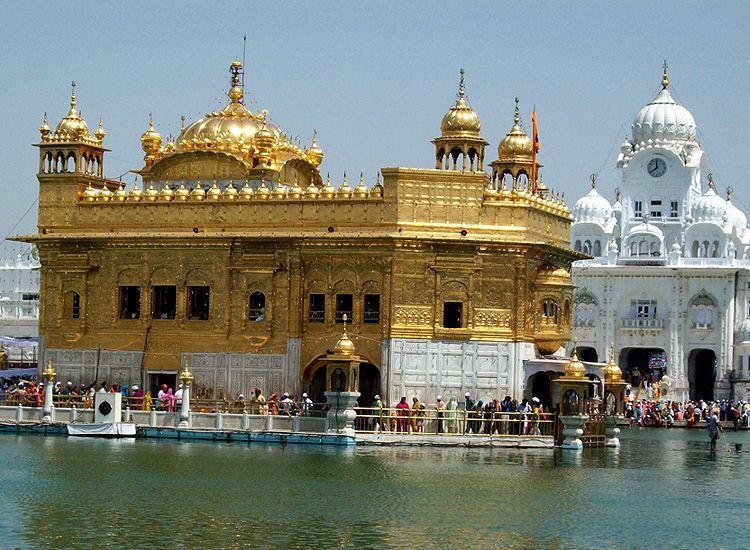 Golden Temple in Amritsar is one of the temples of India which are very rich. A pilgrimage site for Sikhs all over the world, it captivates the visitors with its splendid architecture and peaceful environs. The golden and silver detailing adorning this fabulous golden shrine looks even more incredible at night. It’s a blend of Indo-Islamic and Ind-European architecture. While the canopy of the temple is made of pure gold, the altar on which the holy book, Guru Granth Sahib is placed, is studded with precious diamonds and bright stones. It’s estimated that the Golden Temple receives over 1, 00, 000 visitors every day. Although the total assets of the temple are unknown, it’s believed to contain enormous wealth. 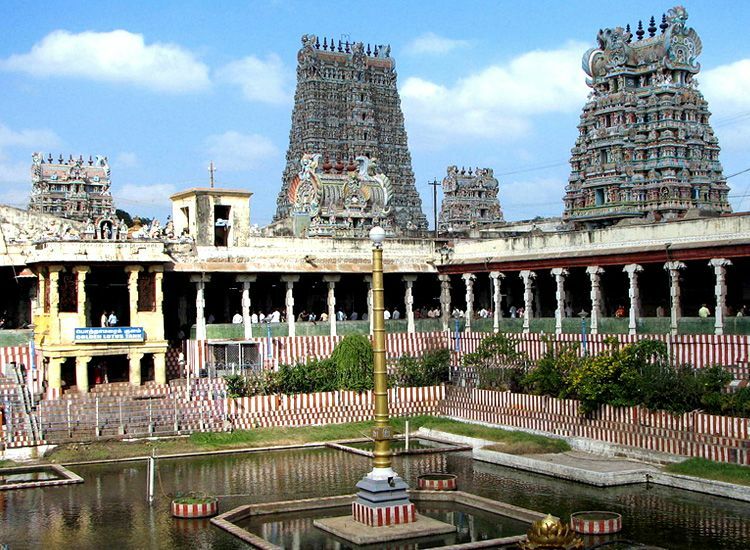 Meenakshi Amman Temple in Madurai is another of the temples in South India which boasts enormous wealth, along with an enormous amount of devotees. It receives around 30,000 thousand people every day, and earns an annual revenue of almost 60 million rupees a year. The temple premises are home to almost 33,000 statues. Deity Meenakshi, the wife of Sundareshwar (Shiva) is the principal deity of the temple. There are around 14 gopurams in the temple, along with two golden Vimanas that embellish the overall beauty of the place. During the annual 10-day Meenakshi Tirukalyanam festival, celebrated through April and May, the temple receives around one million visitors. Jagannath Temple, located in Puri, Odisha, is one the most famous and richest temples of India. 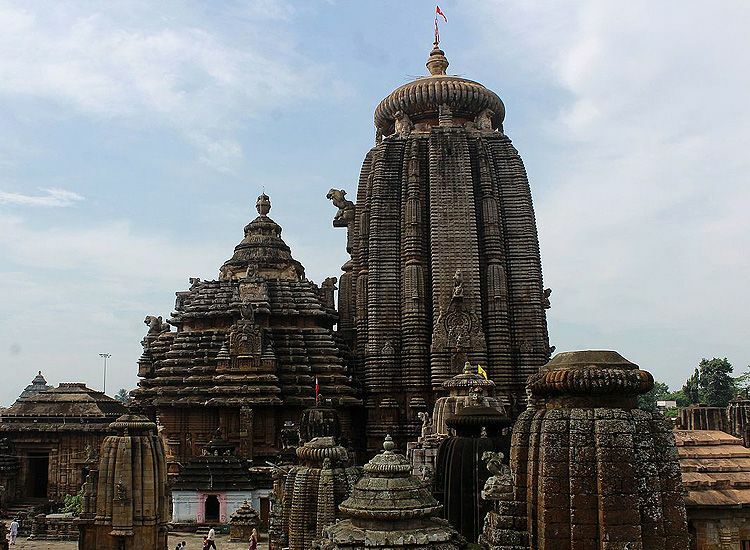 A report published in 2010 suggested that the bank deposits of Lord Jagannath Temple was estimated to have reached almost 150 crore. The donations received by the temples amounts to almost Rs. 15,000 to Rs. 20,000, with almost six times more donations in the festive season. The shrine receives more than 30,000 devotees every day and around 70,000 devotees in the festive season. A certain European devotee donated Rs. 1.72 crore to the temple through the State Bank of India. Besides being an important pilgrimage destination for millions of Hindus, this temple is also a part of the Char Dham pilgrimage. 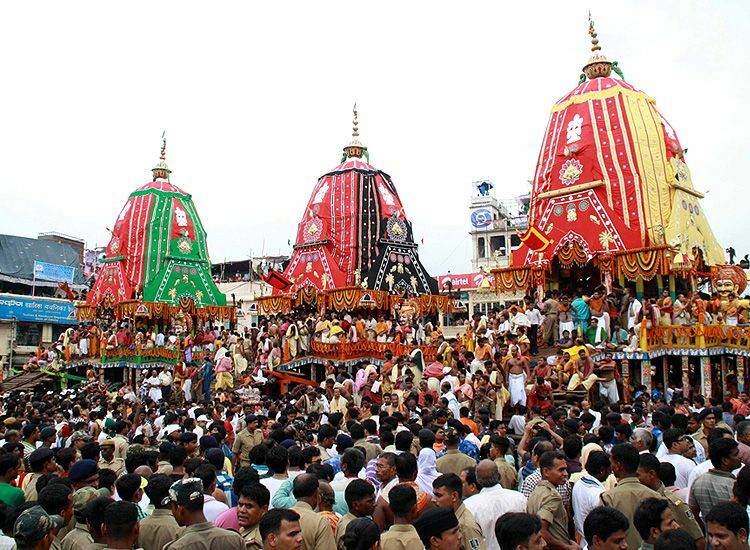 The famous Rath Yatra is held annually here, while its complex consists of at least 120 temples and shrines. 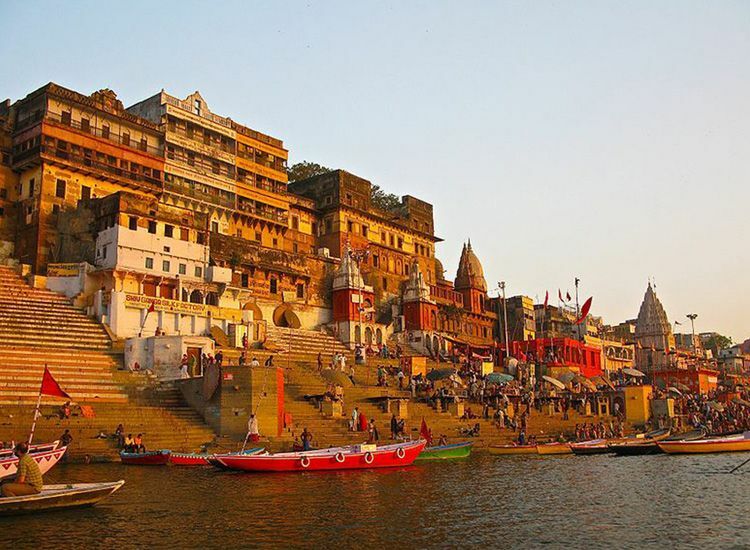 Kashi Vishwanath Temple, located in Varanasi in Uttar Pradesh, is one of the most famous temples in the country, besides being one of the 12 Jyotirlingas in India. It is estimated that this temple receives over 3 million domestic and 2, 00, 000 foreign tourists annually. One of the things which captivates the visitors to the temple are the two gold plated domes. Donations made to the temple amount to almost Rs. 4-5 crore. 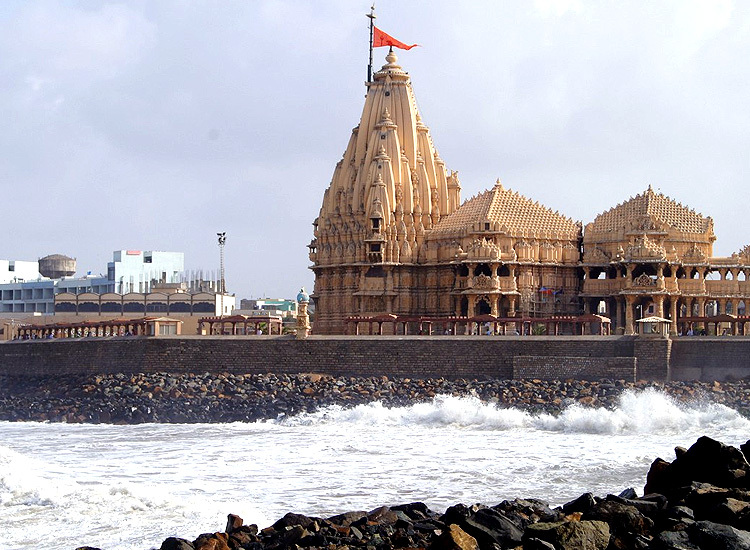 Somnath Temple, located near Veraval in Saurashtra region of Gujarat, was demolished almost 17 times for its massive reserves of gold and silver. However, it stands today in all its glory and possesses an enormous quantity of assets, enough to be called one of the richest temples of India. The temple, one of the oldest and most revered temples in India, is regarded as the first among the twelve Jyotirlingas shrines dedicated to Lord Shiva in India. Visitors here are enchanted by the exclusive architectural design which involves the application of advance scientific methods. Guruvayurappan Temple in Kerala is also called the Dwarka of South India, and is counted amongst the wealthiest temples of India. This temple is visited by almost 6-10 million devotees annually, with almost 40,000 to 50,000 people visiting the temple every day. Dedicated to Lord Krishna, the temple possesses around 230 acres of land, with the Guruvayur Devaswom Board having a corpus of around Rs. 400 crore with Rs. 2.5 crore Hundi collection per month. 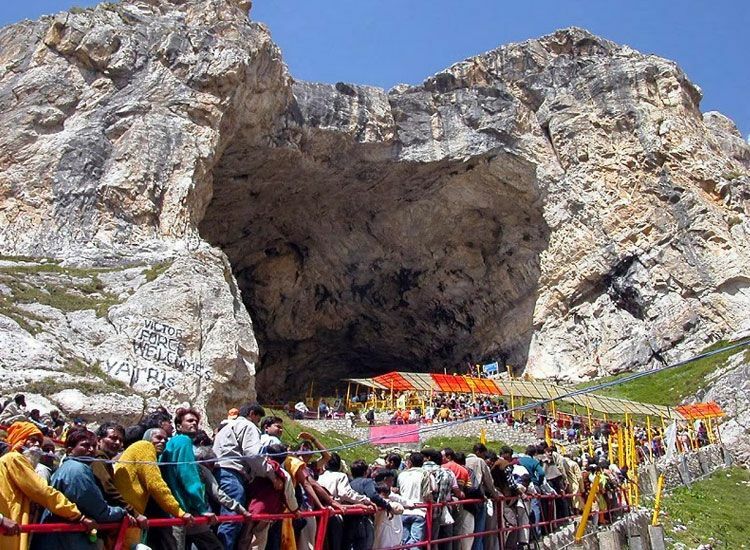 Amarnath Temple situated in Jammu and Kashmir is dedicated to Lord Shiva, at an altitude of 3,888m approximately. Considered to be one of the holiest shrines in Hinduism, the cave temple is surrounded by snow-clad peaks and attracts a large number of tourists due to the ice Shiva Lingam which is formed naturally here. In 2014, more than 2.44 lakh pilgrims paid their obeisance at the Amarnath Yatra. According to a report, if the yatra was kept open for the devotees throughout the year, it would fetch a profit of Rs. 24, 000 crore, going by rough estimates. 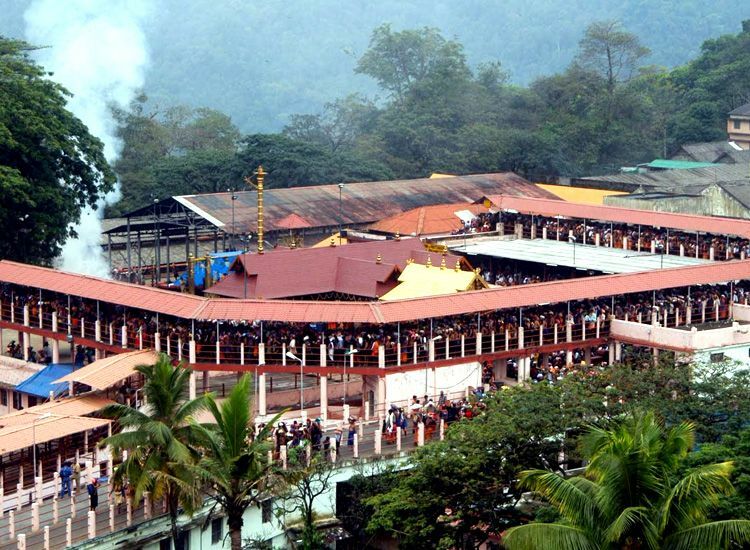 Sabarimala Ayyappa Temple, located in Kerala, is one of the top temples when it comes to receiving the highest amount of devotees. Situated on a hilltop at an altitude of almost 468m, a curious practice followed by this temple is that it allows only men to enter its temple premises. It also hosts one of the largest annual pilgrimages in the world. The temple claims to receive almost 40 to 50 million devotees every year, with the revenue earned during the pilgrimage season estimated to be around Rs. 230 crore. During the year 2011-2012, during the pilgrimage season, the total income of the temple is believed to have been around Rs. 218 crore. 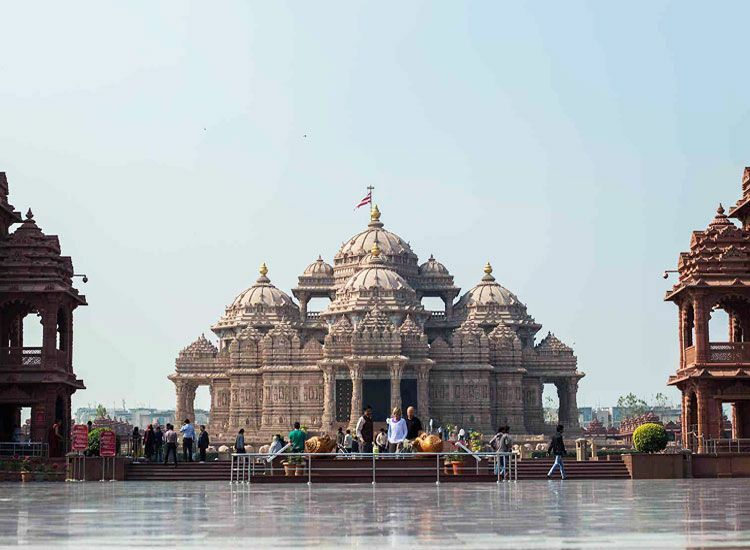 Swaminarayan Akshardham Temple in Delhi is a picture of magnificence. With its massive and fabulous structure, it attracts lakhs of travelers every year. Inside the temple, the idol of Swaminarayan is made of pure gold while the Gurus are covered in golden leaf. The Swaminarayan Temple also holds the Guinness record for being one of the world’s largest comprehensive Hindu temple. The temple attracts 70 per cent of all tourists in Delhi. 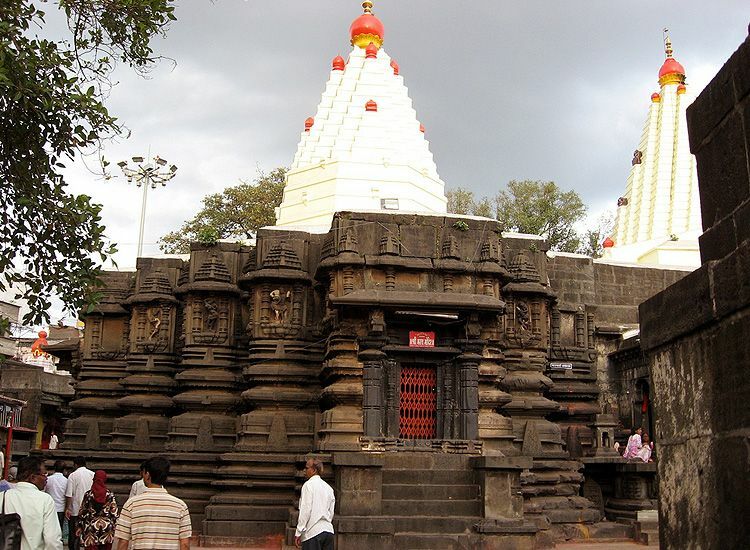 Mahalaxmi Temple in Kolhapur, Maharashtra, is regarded amongst the richest temples of India. It is one of the 51 Shaktipeethas dedicated to Goddess Durga. 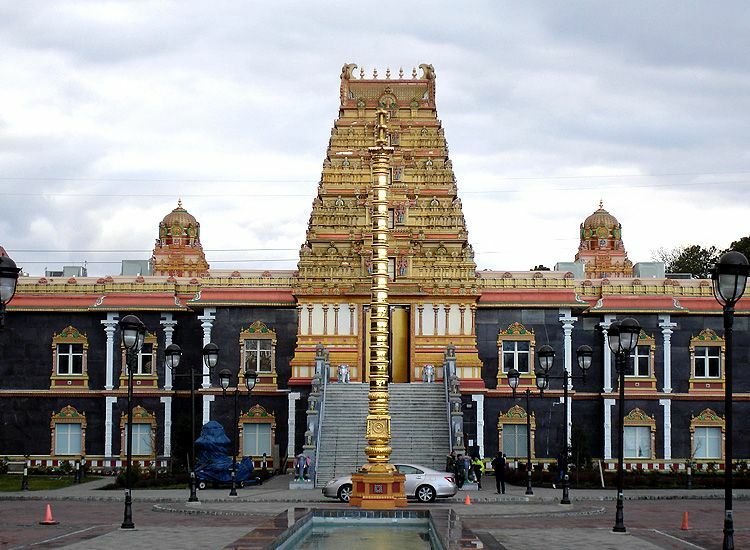 The idol of the main deity is built of black stone and adorned with sparkling gold and silver jewelry. According to a report, the total income of the temple is estimated to have been around Rs. 14, 66, 83, 000 during the accounting year 2013-14. Lingaraj Temple in Odisha dates back to the eleventh century and showcases Odishan architecture at its most refined stage. This is also perhaps why it has been described as the “time quintessence of Odishan architecture”. The temple complex comprises 150 subsidiary shrines, with each possessing a unique characteristic of their own. However, the entry is restricted to Hindus only. The temple receives almost 6,000 visitors on a regular basis and around 2 lakh visitors during the occasion of Shivaratri. Its annual income is said to be estimated around Rs. 1.2 million from donations, in addition to Rs. 4 million from other sources like shops, cycle stands and agriculture lands. Browse through our collection of brilliantly crafted tour packages and set off on a temple tour. We offer the best packages that offer you the best deals and allow you to explore the most revered and richest temples in India in the most enjoyable way possible. Browse through our collection of brilliantly crafted pilgrimage tour packages. We also offer the option of tour customization that let you select a journey according to your own convenience. We offer you outstanding deals and services.